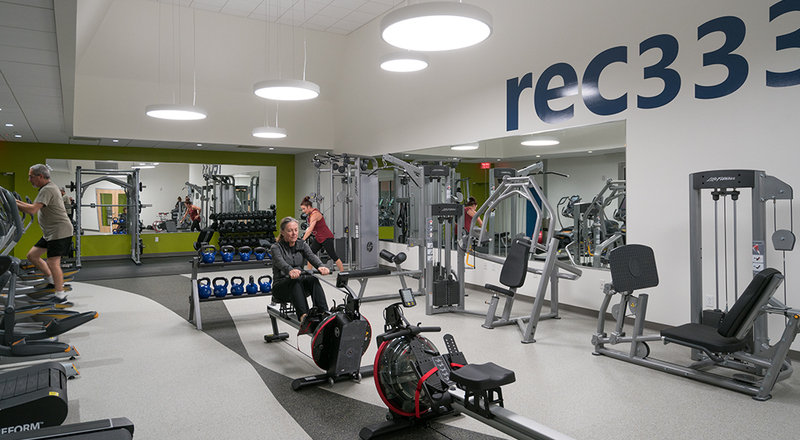 New possibilities and collaboration are in the air at the renovated REC333 located at Penn Center East. 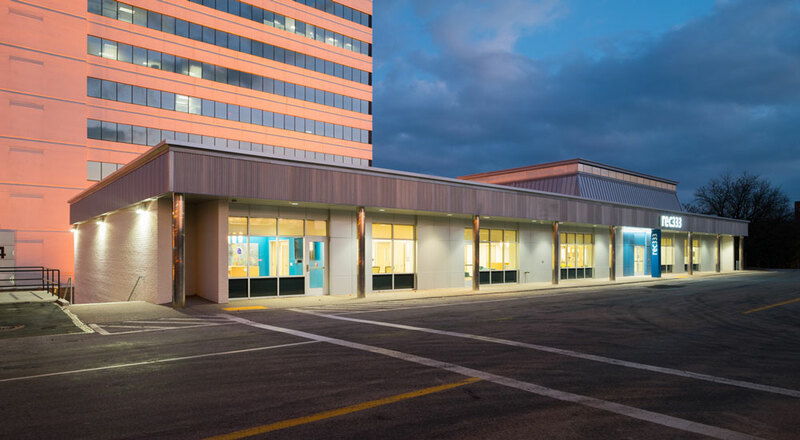 The property sits amidst an evolving commercial district at the heart of Wilkins Township that includes both retail and office properties, and Strada’s 8600-SF renovation has created a business center to help attract and retain tenants for the office buildings. 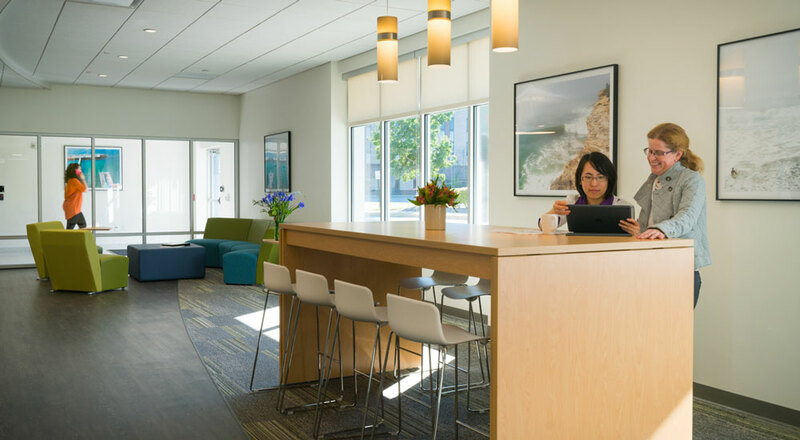 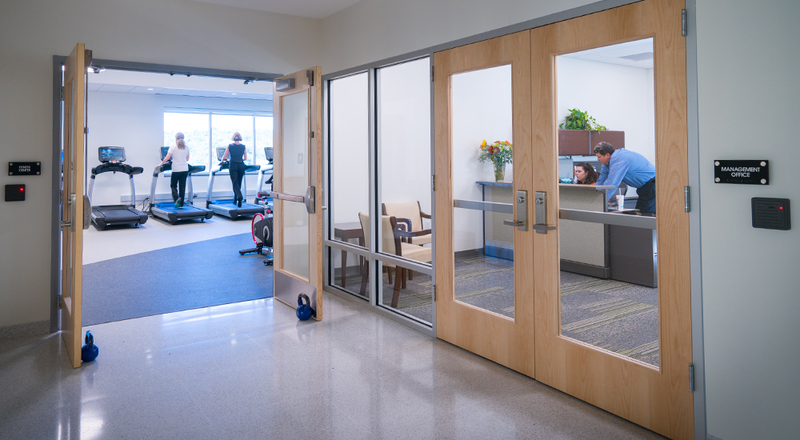 REC333 also includes an office for property owner, M&J Wilkow, where they can meet with prospective clients and tenants as they strengthen the burgeoning community around them. 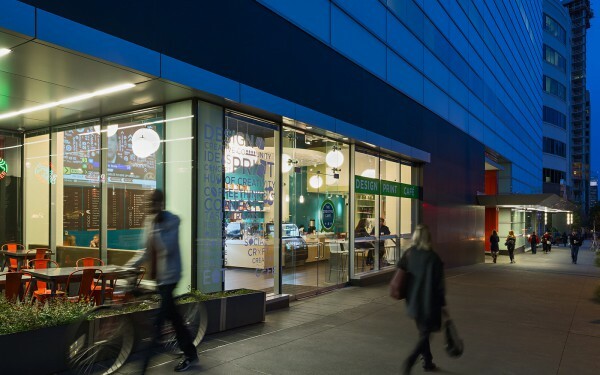 Strada has reimagined the building inside and out, beginning with a modernized exterior complete with new windows, paneling, and signage. 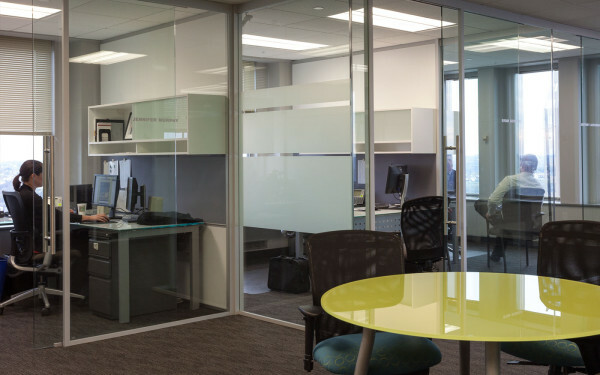 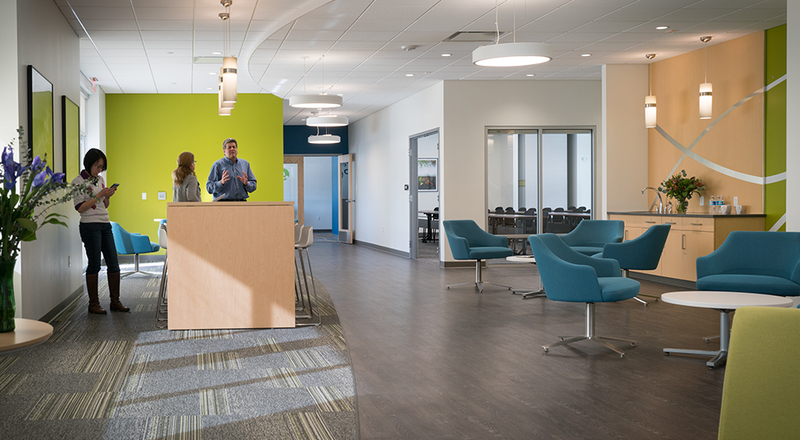 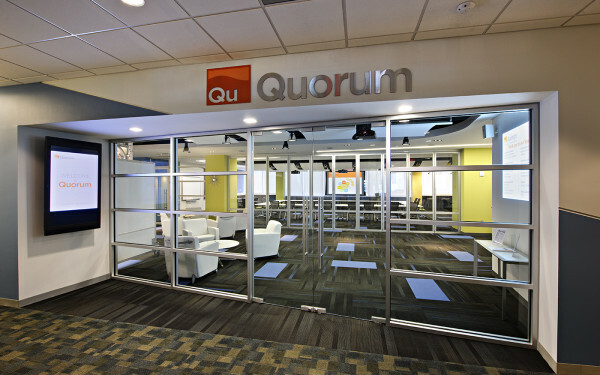 A vivid influx of contemporary colors and forms charge the new interior, a multi-purpose space focused on well-rounded productivity, with areas for presentations, teamwork, reflection, and fitness. 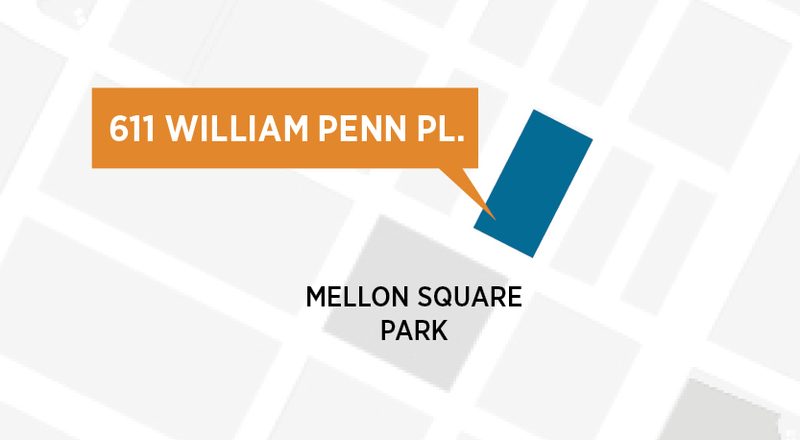 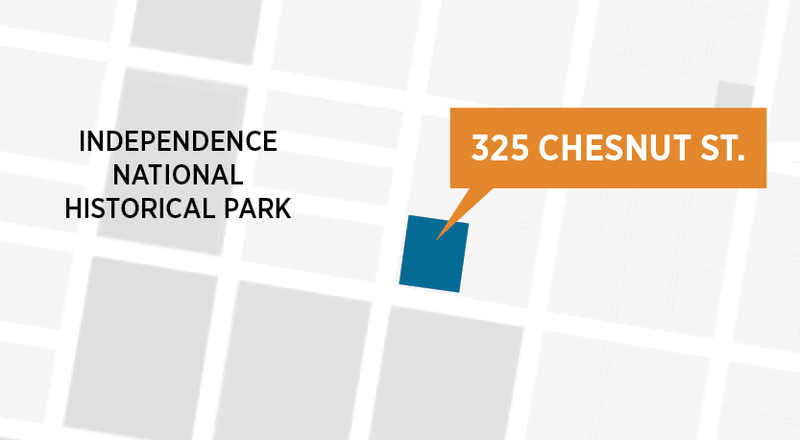 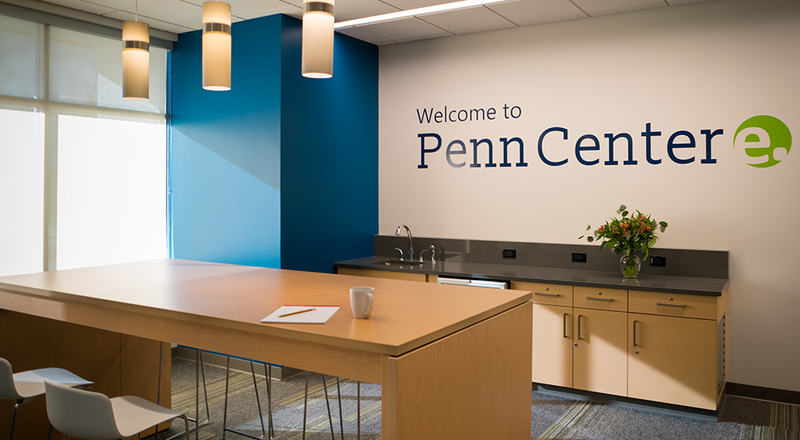 The refreshed center contains meeting rooms, lecture space, offices, a gym, and an outdoor terrace, creating an open atmosphere that will foster interaction and attract diverse businesses to Penn Center East.